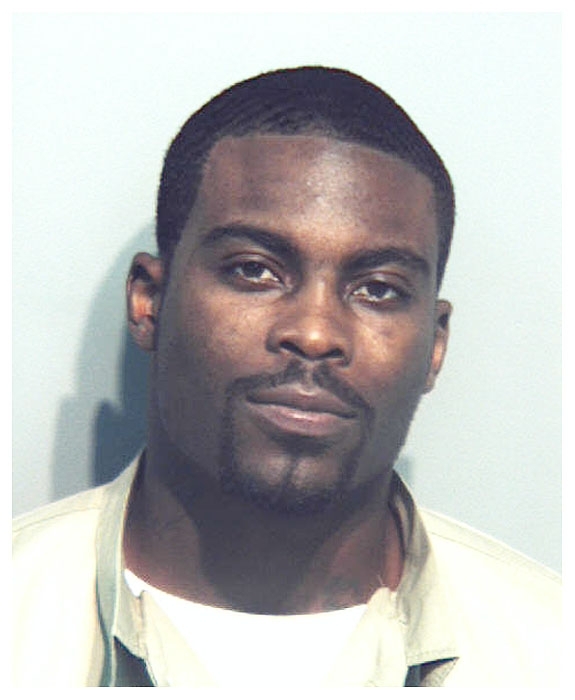 Michael Vick posed for the above mug shot in November 2008 at the Riverside Regional Jail in Hopewell, Virginia. The disgraced NFL star, 28, was briefly transferred to the state lockup for an appearance in Surry County Circuit Court, where he copped to a state dogfighting charge. The admitted dog killer was transported from the federal prison in Leavenworth, Kansas, where he is serving a 23-month sentence for conspiracy. Submitted by GeorgeDubyaBush on Sun, 2011-05-22 16:36. Thankfully, the Eagles got rid of McScabb. I'll take the dog killer any day. Submitted by midnightrider on Mon, 2011-02-28 23:52.